Combining ice cream and the walking dead, Zombies Ala Mode is a fresh take in the zombie game genre, providing scoop upon scoop of delicious playing hours, brain freeze not included. Chicago, IL. – Crawl Space Games announces today the release of Zombies Ala Mode for iPhone. A tasty treat, Zombies Ala Mode provides a new type of game portraying zombies as not the typical mindless brain eating killers, but as individuals with a propensity to losing chunks of flesh and a bit of a musky odor they can’t quite shake. Doesn’t mean they can’t serve you ice cream, though! Play as a hard working zombie trying to make it in this economy. The journey begins by answering a help wanted ad for an Ice Cream Parlor assistant. Fill customer orders while dodging obstacles and try not to get fired. Earn your wage plus tips & bonuses for being a quick and timely worker with great customer satisfaction! 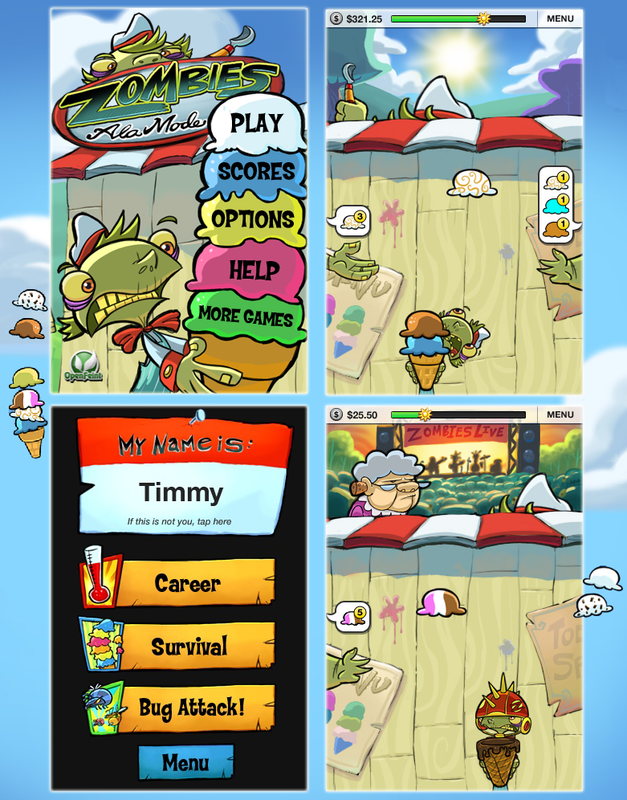 Zombies Ala Mode gives users 50 levels and 3 different games modes, Career, Survival and Bug Attack. Using tilt sensitivity control, navigate through obstacles like ice cream scoopers, boots, water bottles and skateboards while trying to serve customers. Obtain upgrades like a helmet that will keep your zombie in shape to handle the most difficult orders. It’s survival of the fittest, or deadest in this case. 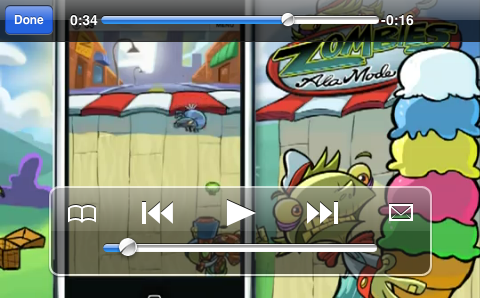 Zombies Ala Mode is available for $2.99 on the iPhone and iPod Touch. An iPad and Android version of Zombies Ala Mode are slated to launch in the coming weeks. Follow Zombies on Twitter, @crawlspacegames and Facebook. Crawl Space Games, a division of Elevate Entertainment LLC, has created and developed mobile application games for the iOS and Android platforms since their launch in 2009. Zombies Ala Mode is the second release for the company following the successful debut of their first game Knife Toss. Online at www.crawlspacegames.com. Copyright © Crawl Space Games. All Rights Reserved. Apple, the Apple logo, iPhone, iPod and iPad are registered trademarks of Apple Inc. in the U.S. and/or other countries.